Are You Thinking You May Want A Rabbit? Rabbits make great house pets with wonderful personalities. They easily adapt to an inside domestic lifestyle. In order to keep rabbits healthy and happy, they need special care. In this article, we are going to share with you how to properly care for your pet rabbit in our rabbit care basics. Your rabbit needs an appropriately sized cage. For the average sized rabbit of about 8 pounds, you will need a cage that is at least 4 ft wide, 2 ft deep, and 2 ft tall. Your rabbit should be able to comfortably lay down, stretch out, jump, hop, and still have plenty of room for water, food and a litter box. Ideally, the cage should be about 5 times the actual size of your rabbit. The cage should be well ventilated, draft free, and protected from extreme temperatures. Too many rabbits are in small cages for their entire life. It is better to get a cage that is 2, 3, or 4 times the size above. The bigger the cage, the more exercise and happier your rabbit will be. Many rabbit owners have an area that is gated, rather than a cage. If you will be housing your rabbit outside, make sure that the cage can withstand any wildlife intruders like fox, raccoon, bears, bobcats as well as dogs and cats. Most outside cages are up high off the ground with a wire bottom. Make sure to place a wooden enclosed nesting box inside to not only keep your pet rabbit out of wind and rain but also a place to keep them safe from intruders trying to bite feet underneath or sides of the cage. Pet rabbits should preferably be kept inside, where it is much safer and only let outside under supervision. You can line the bunny cage with absorbent bedding material like dust free hay, barley straw, or soft wood shavings. Rabbits generally like to make cozy nests, so try and fill the cage’s bottom with soft natural bedding material so as to keep your pet comfortable. During winter, you can add plenty of hay or barley straw to help insulate your rabbit’s habitat. You can also provide a hiding place in the rabbit’s cage. Rabbits are actually burrowing prey animals, therefore providing some hiding places such as cardboard boxes or logs, is great for their well being. Place the cage in a rabbit proof area (keep anything that is chewable out of the area – electrical cords, furniture, etc). Place the cage in an area that you do not mind sharing with safety in mind. Place the cage away from any extreme heat, and avoid placing the cage in the same room with any barking dogs or animals that will continually bother or harm your pet rabbit. Rabbits are particularly sensitive to stress. All soiled litter (any urine or feces), Any uneaten food, fruits and vegetables should be removed every day. The cage should be thoroughly washed at least once a week after removing the bunny from the cage, and getting rid of old hay, wood shaving and leftover food. After cleaning the cage, fresh soft wood shavings or clean hay should then be placed inside it before returning the bunny to his/her’ home. Rabbits can also be litter box trained! Most of a rabbit’s diet should be composed of Timothy hay (stay away from alfalfa hay, only give as a treat) which is rich in vitamin A and D, fiber, protein, calcium, and other nutrients. The fiber contained in Timothy hay is vital to promoting normal digestion, and also for prevention of hairballs. Moreover, the hay fiber helps wear down the bunny’s teeth. Fresh Timothy hay should be available to your rabbit at all times. You can use a large hay feeder to help keep large amounts of hay off the floor, clean, dry and accessible. Supplement hay with fresh vegetables and fruits. You can try to feed your bunny a small amount of vegetables (or fruits) every day, about 1 or 2 handfuls. You can provide vegetables and fruits such as spinach, carrots, collards, turnip greens, mustard greens, celery, watercress, broccoli, apples and dandelion leaves. Always make sure you wash the vegetables beforehand, and avoid feeding your bunny straight from the fridge since a chill can end up upsetting their stomach. Also make sure the vegetables have not been sprayed with any kind of poison or repellents. Any fruits and vegetables which aren’t eaten within 24 hours need to be discarded. Vegetables which aren’t good for your rabbit include; corn, beans, iceberg lettuce, peas, tomatoes, potatoes, onions, beets and rhubarb. Also avoid feeding bamboo, grains, chocolate, bread, seeds, and meat. You can offer your rabbit quality pellets, but in limited amounts. Uncontrolled feeding of a rabbit pellet diet may lead to obesity, liver disease, kidney disease, and chronic diarrhea which results from high concentration of carbohydrates and high calcium levels in the rabbit pellets. Make sure you get high quality pellets which are high in fiber. Keep large bags of rabbit pellets stored in a cool, dry place to prevent spoilage. Never place any bagged pet food directly on concrete flooring, like in a garage or basement. The concrete will draw out moisture and nutrients from the bottom of the bag, creating the lower portions to literally be useless. Place all bagged pet food up about an inch or more from the concrete to prevent this. Avoid pellets with nuts, grains and dried fruits. Hay should constitute 80% of your bunny’s diet. The remainder should be fresh vegetables and fruits (15%) and rabbit pellets (5%). Besides a nutritious diet, your bunny needs plenty of fresh, clean water. Insufficient water can lead to serious health problems like bladder stones. Fresh, clean water should always be available, and be changed on a daily basis. You can put the water in a bottle or in a heavy crockery bowl that’s secured to the side of the rabbit’s cage so it doesn’t tip over. Grooming is part of normal health care routine of rabbits. Rabbits are very delicate animals and grooming should be done on a regular basis. That said, it’s important to note that bunnies do not need baths since they normally groom themselves just like cats. Grooming a rabbit includes; fur brushing, nail trimming and removal of any debris caught in your rabbit’s fur. Grooming can also include; cleaning the ears, eye areas, and teeth. Rabbits generally go through shedding cycles about 4 times a year. It is important to regularly brush your bunny so as to remove the excess fur. Otherwise, the rabbit might ingest it and suffer serious digestive issues. You can use a soft bristled brush to gently remove the fur at least every 3 days. When your bunny is shedding, more frequent brushing will be needed. Regular brushing will help remove hair that’s shedding, prevent hairballs, and will keep the long-haired bunnies from matting. Regular nail clipping is important because excessively long nails are uncomfortable, may get snagged on things, or can curl into the rabbit’s paw. Allowing the nails to grow extremely long might also cause nail or toe injuries, foot injuries and gait issues. Check the rabbit’s nails at least once a week when you’re grooming, and trim them whenever necessary. You can ask your vet or rabbit groomer to show you how to properly clip the nails as you can easily cut through a blood vessel. A rabbit’s teeth grow throughout their entire lives, which makes dental problems a common occurrence. Rabbits chew in order to maintain their teeth, so try and provide your rabbit with enough chewing sticks and material. Branches from trees like apple, willow, pear, and other untreated wood treats can help keep the rabbit’s teeth worn down. Avoid branches from trees which are chemically treated or which are close to any sources of pollution. Consult your veterinarian if you happen to notice any problem with your rabbit’s teeth. If they are too long or malformed, your veterinarian may have to trim them. Teeth that are too long or malformed can cause your rabbit to stop eating which will cause other health issues. So, always check your pets. All rabbits need exercise, attention and proper stimulation in order to maintain their mental and physical well being. Rabbits are highly social pets who thrive on social interaction and attention. Majority of the rabbits are overtly affectionate, and tend to nuzzle and lick their owners/handlers. Take time to bond with your rabbit, and remember to be calm and gentle. If possible, talk to the bunny calmly and stroke him/her daily. 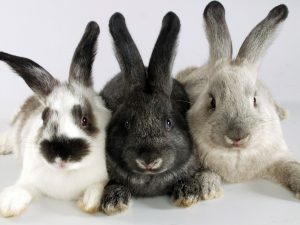 This helps build a happy relationship which can be rewarding since rabbits are playful and curious animals, and will give out as much love as they receive. You can also give your bunny some toys to play with. Toys are a great way to exercise and interact with your bunny. 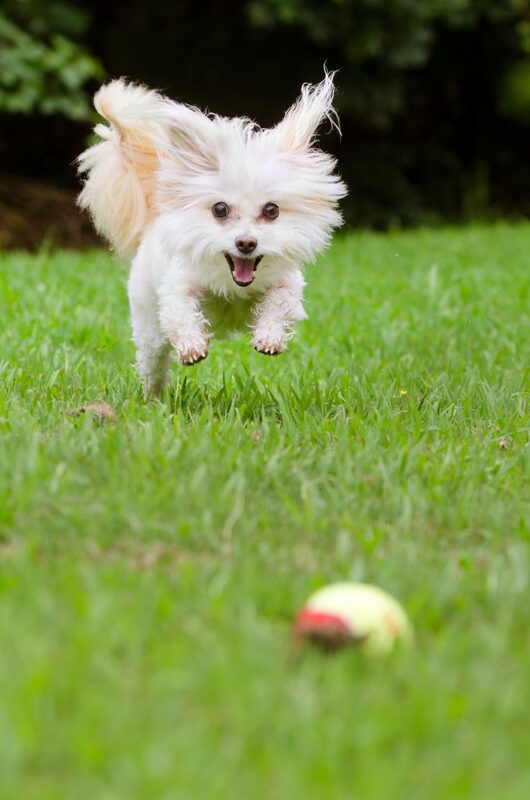 You can toss a ball, some rabbits enjoy running after a moving object and some learn to bring it back to you!! You will also see your bunny playing with toys by themselves. Alternate the toys on a regular basis to keep them interested. Rabbits have very fragile bones and should be handled with great care. Whenever you do need to lift up your bunny, the safest way to do it is by sliding one hand underneath the bunny’s body and in between the front legs, with the other arm around its’ hindquarters, supporting his body weight. You can then place the bunny against your body with his head toward your arm. Never lift a rabbit by his ears or by scruff of his neck. Remember to always put your bunny down gently, the hind legs 1st. If your rabbit struggles to get back down when lifted, you should lower yourself (along with the rabbit) close to the floor so as to prevent injury. If you are thinking of getting a rabbit for your next pet, check out humane societies and shelters in your area. Many are up for adoption. Rabbits make great pets but as with any pet, please do your research. Read as many things about care and requirements as you can find beforehand. Talk with people who own or have owned rabbits. Rabbits make great pets and we hope that this article gave you some insight. Ever Want to Own A Pet Bird? 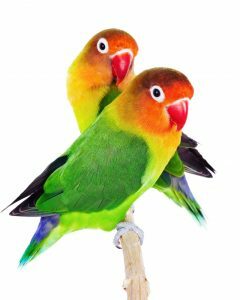 Pet birds are intelligent, affectionate and excellent companion animals, provided they are properly cared for. Taking good care of your pet bird makes them happy. You can do this with maintaining a clean cage, a friendly environment and a healthy lifestyle. Pet birds are not commonly susceptible to most parasites, and are among of the most affordable pets to maintain. That said, lets now take a look at how to properly take care of your pet bird. Bird care basics are pretty easy. First of all, you will want to get your pet bird a fairly big sized cage. Different bird breeds generally need differently sized cages. Make sure the cage is big enough to fully accommodate your pet bird. Most birds should be able to freely stretch and flap their wings without hitting the sides. The cage should also have adequate room for short flights. In addition to that, the cage should have bars which are less than 3/8 inches wide so that your pet bird will not get his/her head stuck between the bars. Since your pet bird will most likely spend a good amount of his/her time in the cage, you will want to design it for utmost comfort; you can add multiple perches of varying heights, along with toys for stimulation. You should always keep the cage clean and hygienic. Clean the cage thoroughly at least once a week, including all perches and toys. You can place cage liners like paper towels, newspapers and paper bags on the floor of the cage to make cleaning up easier. Remember, do not use colored newspapers, as the ink can cause harm to the bird’s health. The cage should be placed in an area that’s draft free, well lit, but not in the direct sunlight. If you want to make your bird feel more comfortable and secure, you can place the cage against a wall, or at the corner of the room. Place the cage such that it’s at eye level for better social interaction. Pet birds require a proper, nutritionally balanced diet in order to lead a long and healthy life. A healthy diet for most of the birds can include; seeds, grains, fruits, vegetables and high quality, organic pellets. Some of the fruits and vegetables you can feed your pet bird include – corn, carrots, apples, broccoli, grapes, peas, bananas, yams, oranges, papayas, plums, cucumbers, mangos, and zucchini. Never feed avocado, citrus fruits, garlic, onion, or chocolate as they might be highly toxic to the bird. That said, you should know that since bird diets vary from one species to the next, we advise consulting your veterinarian, or research the types of foods that are recommended for your particular type of bird. It’s essential you feed your bird food that is suitable for that specific species. All types of pet birds need to fresh water available at all times. Make sure the fresh water is at a temperature that your bird prefers. The water should be changed on a daily basis, and placed high to prevent it from getting dirty. If placed higher then feed dishes and most perches, the water may stay cleaner longer. Cleanliness is very important for a bird’s health and comfort. Water on the bird’s skin helps reduce the overall amount of dander, and adds the much needed moisture. Bathing promotes preening (feather grooming), which in turn promotes spreading of oils from oil glands, leading to a shinier, tighter, and more waterproof feathers. Bathing also helps a molting pet bird remove the itchy feather sheathes. Some pet birds prefer being misted, while others prefer bathing. For the birds that like being misted, a squirt bottle may be set on mist and then aimed over the pet bird so that the water falls like mist. For those that prefer bathing, you can place a dish (with an inch or two of water), at the bottom of the bird cage. Remember to remove the dish after the bird has bathed. Never leave dirty water in the cage. Trimming a pet bird’s wings prevents them from flying around nonstop. Birds have been known to fly into ceiling fans, pots of boiling water, into windows, among others. You need to take the responsibility to protect your bird and this includes trimming the wings. Wing trimming will help protect your bird against injuries, and can also prevent them from escaping. Wings can be trimmed by your vet or can be done at home. However, it is best to let your vet or a bird groomer trim the wings. You can carefully watch the vet trim the wings so that you can learn how to do it. A good trim will allow your pet bird exercise his/her muscles. Overgrown nails usually make perching difficult for birds, and also increases the chances of scratching furniture and other things. Generally, nails are considered to be too long when the toe is elevated off the surface/ground when the bird’s feet are flat on the floor. Even the short nails might need to be blunted a little to remove any sharp points. Before you embark on nail trimming your pet bird, you first need to familiarize yourself with the proper method of nail trimming. You can visit an experienced bird groomer, or you can have your veterinarian show you how to properly trim your bird’s nails. Having the nails trimmed by a bird groomer or a veterinarian will give you a good idea of just how short the nails need to be kept. After the vet’s trim, you can continue keeping them short with an every other week or every month nail trim. You need to show your pet bird that you care. Whenever you are home, give him/her lots of attention, and make things interesting and fun. As mentioned earlier, you can add some bird toys to the cage. Bird toys are a great way to combat boredom and providing exercise for your bird. Bird ownership can be very rewarding. We hope you enjoy your bird for a lifetime!! 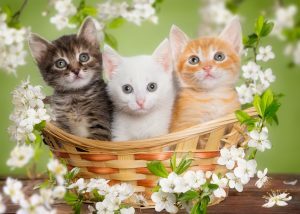 Happy Mother’s Day to all Pet Moms! !